Imagine the mountains in summer. 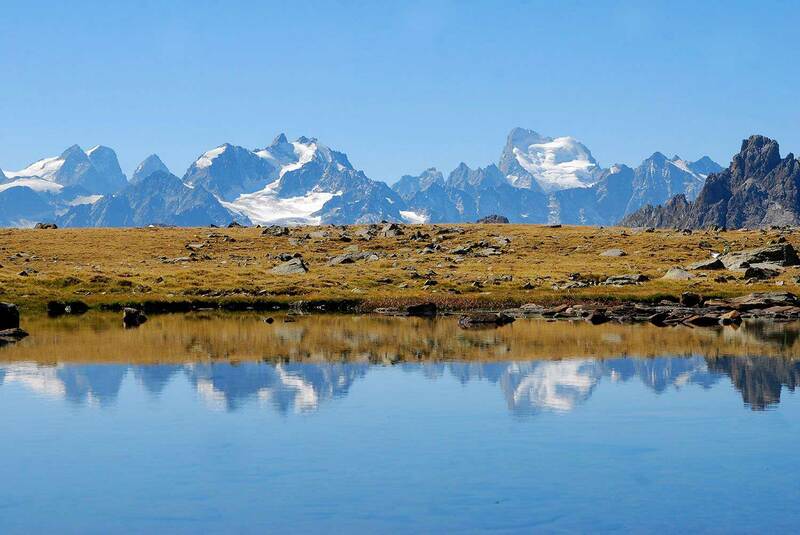 Make a journey to the Alps, the Southern Alps, and more precisely the Clarée Valley ! Come and stay in one of the most beautiful valleys in the world. If you think we're exaggerating, you definitely have to come and see for yourself. We are 20 kilometres from Briançon and 15 kilometres from a TGV station, Bardonecchia in Italy (Paris-Milan line). The river that runs through our valley is called the Clarée and from the upper valley where it finds its source, until it joins the Durance, it is fed by multiple impetuous torrents that shine under the sun of the Southern Alps. 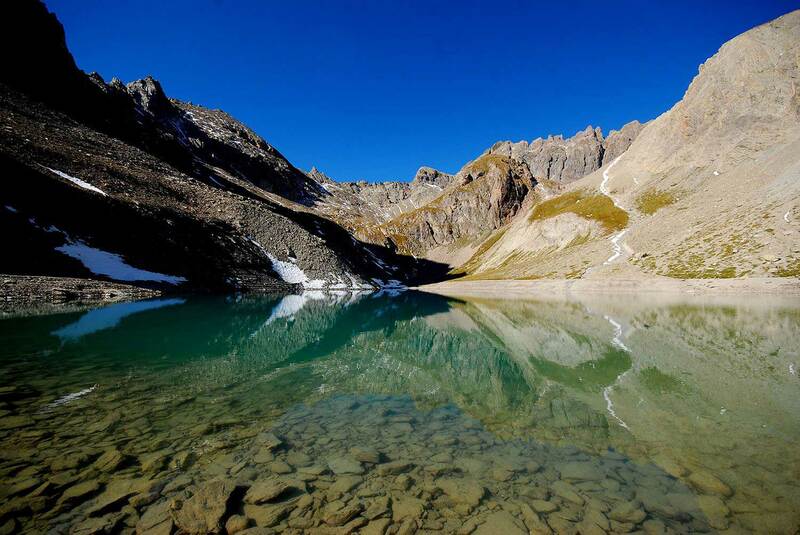 Numerous valleys shelter lakes and Alpine hamlets with protected habitats. The fauna here is exceptional, from the marmot to the wolf, along with herds of sheep which come to spend the summer in our mountain pastures (transhumance is a reality here) . And what can be said about flora ! In summer, the fields of Névache are multi-coloured and at high altitudes, the alpine grass is filled with small flowers of magnificent colours. All this, in addition to the cultural heritage, chapels, bread ovens... and our famous sundials. Days out on foot, mountain-bike or road-bike, rock-climbing or via-feratta, cani-rando, self-guided or with a guide… You may experience multiple summer activities in Névache! Summer, ok, but what about winter ? In winter, Névache is one of these little paradises on earth. When it's grey, cold, humid in many places, here, there's plenty of sunshine, loads of snow, pristine blue sky and the magic setting of snowcapped mountains surronding us. 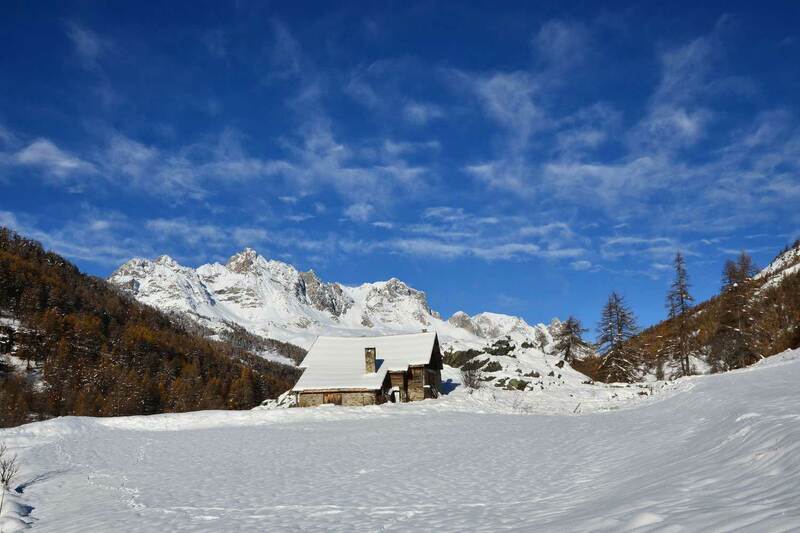 In the Southern Alps, the winter is not the same as elsewhere, and in Névache, this difference is even more pronounced. Here, we offer a multitude of activities and our stays are supervised by professionals. Choose: cross-country skiing, snow shoes, telemark or Nordic skiing? Do you prefer sled dogs? 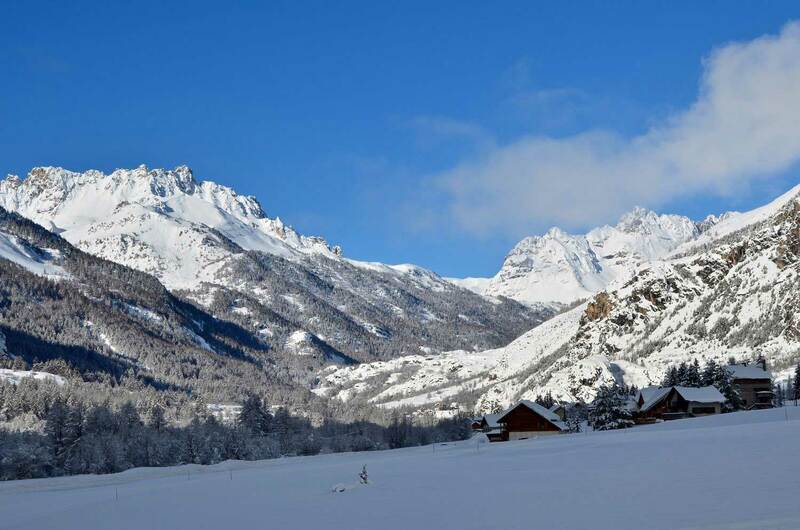 In the Clarée valley, you may practice all these activities; for cross-country skiing, the domain of Névache is covered by 50 to 80 kilometres of carefully marked trails. For snow shoes… you have… the rest! Névache, our village of around 350 residents, is located 106 kilometres from Gap, the prefecture of the High Alps in the Provence - Alpes- Côte d’Azur region, in the Southern Alps. We are around twenty kilometres from Briançon, in the summer, around 15 km from the TGV station of Bardonecchia on the Paris/Milan line, and in the winter, because of the snow, we are around 45 km from the train station of Oulx on the same line.